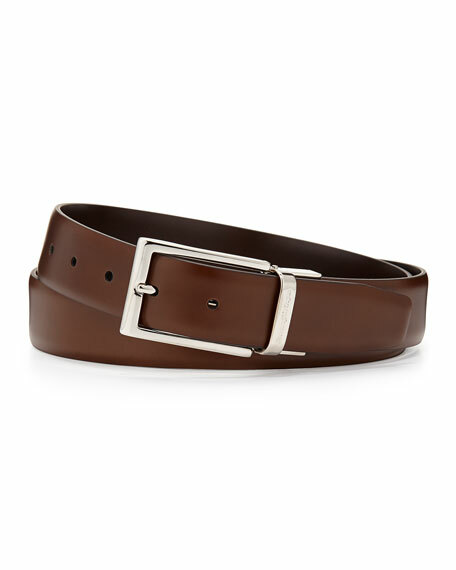 Ermenegildo Zegna reversible leather belt. Established in 1910, today Ermenegildo Zegna is run by the fourth generation of Zegnas. Known primarily for its impeccably tailored suits created from exceptionally high quality wool, this Italian house also turns out well-made shirts, trousers, ties, sweaters, outerwear, blazers, and denim. For in-store inquiries, use sku #262985.